While the CBS All Access show Star Trek: Discovery is not set to premiere until January 2017, we may soon learn who commands the new starship. Although no casting has been confirmed so far executive producers Bryan Fuller and Heather Kadin are pointing towards a black female captain leading the Discovery. 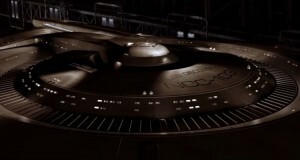 During a Comic-Con panel, the two stated that the show will continue many of Gene Roddenberry’s progressive ideas. They are aiming for a diverse cast, especially when it comes to women. Of the five Star Trek television shows, only one had a female captain, Star Trek Voyager with Captain Kathryn Janeway. It looks like the upcoming series may be another one where a female gets to sit in the big chair. Fuller discussed the potential new captain and even referenced astronaut Mae Jemison (the first black woman in space) not only as inspiration but someone who he’s spoken with when discussing the new show. 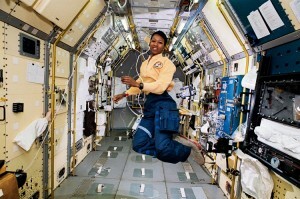 The first African-American woman in space is similar to Captain Picard as she is a physician, dancer, and an engineer in addition to being an astronaut. Jemison founded her own company the Jemison Group the dedicated to the development of science and technology for daily life and founded the Dorothy Jemison Foundation for Excellence helping educate students aged 12-16 in science with the goal of solving current global problems. She’s also appeared on Star Trek: The Next Generation. Once again, there’s no official casting for the new captain for Star Trek: Discovery, but they have a heck of an inspiration to base the new captain off of. Make sure she’s disabled and trans. Hit all them token tick boxes! Sorry, I just value good, well written characters that can be used to tell interesting stories than “ZOMG! Muh gender! Muh race!”. Who we are is so much more important than what we are. That’s true. If only everyone could be treated as full people have have all of the opportunities that everyone else has without a hint of discrimination. Why, such a scenario, although not quite something we’ve achieved in the present, would be perfect in a story about an idealized future. Perhaps a trek through the stars could even be involved. I hope he or she is a classically trained actor.